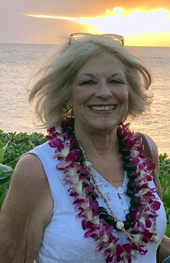 Obituary for Marilyn Jane (Corn) Culp | Price Funeral Chapel, Inc. Unexpectedly passed away surrounded by family on January 30, 2019, at age 69. Marilyn was born in Nampa, ID and grew up in French Camp, CA before settling in Sacramento, CA where she affectionately raised her family. Adoring and loving wife of Lindy Culp. Cherished mother of her two sons Branden (Robin) and Todd. Doting Grandmother of Tyler and Garrett. Vibrant sister of John, Sharon (Rick), and Keith. Marilyn never met a stranger and was virtuous in her kindness to everyone. Her sons and grandchildren were the center of her life. Devout Jehovah’s Witness who was dedicated to God, family, and serving others. Viewing will be held on Thursday, February 7th from 4-7PM and Sunday, February 10th from 9-11AM at PRICE FUNERAL CHAPEL (6335 Sunrise Blvd., Citrus Heights, CA, 916-725-2109). Celebration of Life will be held Sunday, February 10, 2019, at 2PM located at the Jones Hall, Placer County Fairgrounds (800 All America City Blvd., Roseville, CA 95678). Interment Sacramento Valley National Cemetery, Dixon, California. Flowers provided by Balshor Florist. Online condolences can be made at PriceFuneralChapel.com.